Bougainville Copper Limited (BCL) has serious concerns over the proposed new mining laws that some members of the Autonomous Bougainville Government (ABG) seem keen to rush through parliament. If passed, one of the bills seeks to amend the Bougainville Mining Act 2015 to allow a new company, Bougainville Advance Mining Limited, to be issued with a special mining licence granting “large-scale mining leases over all land in Bougainville available for reconnaissance, exploration and mining that is not subject to an existing exploration licence or mining lease”. Leases of up to 100 years could be granted. These bills mirror proposals put forward by an Australian Jeffery McGlinn, whose apparent primary business appears to be horse breeding. In presentations to MPs and others he has proposed a 40 per cent stake in Bougainville Advance Mining for his own newly formed company Caballus Mining with other unknown foreign investors and sovereign states. 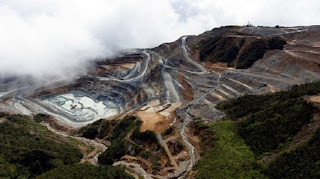 From the company’s own perspective, these legislative moves also ignore current court proceedings and BCL’s rights to natural justice and they are also at odds with the ABG’s decision to place a moratorium over the Panguna project area until after the Bougainville referendum.